Michael McDowell was a few weeks into his first season as a NASCAR driver when he became the central figure in one of the sport’s wildest crashes. While qualifying at the 2008 Samsung 500 for Michael Waltrip Racing in the #00 car, McDowell hit a patch of the oil-absorbing agent known as “Speedy Dry” and lost control. Traveling over 200 miles per hour, he hit the protective wall head on and rebounded back towards the track. His car went airborne; violently barrel rolled eight times, and finally landed on its wheels. With the engine on fire, McDowell incredibly emerged from the wreckage unharmed and waved at the shocked fans as he walked to the ambulance. Despite the positive attention that came from his time in the spotlight, the next several years turned out to be an equally tumultuous ride. McDowell took the track for no less than ten teams in all three of NASCAR’s major divisions and on a handful of occasions came close to winning races but never could quite find his way to Victory Lane. In 2016, McDowell experienced increments of success while enjoying his most extensive time yet in the Cup Series thanks to a continued commitment from Leavine Family Racing. 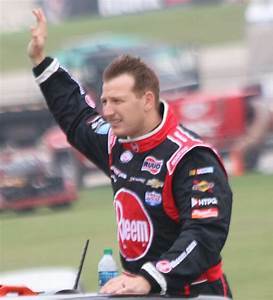 He even won his first NASCAR race at Road America in a one-race deal with Richard Childress Racing. He then ran the Cup Series full-time for the first time in his career in the 2017 season. Dear Lord, we thank You for all the things You bring us through. We thank You for the verses You give us in Your word that we can hold onto. In the Name of Jesus, Amen.